These durable guards feature a removable instep guard for unmatched versatility. The polyurethane shell and injection molded foam absorb impact from the most powerful shot. 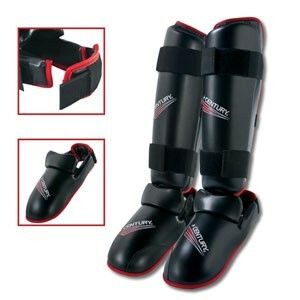 The hook and loop closure keeps your guards securely fitted to your leg.